This is one of our favorite views on the Little Red River which we call The Twin Towers. 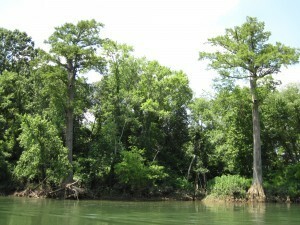 These two giant cypress tress are on the lower river where we spent the 4th of July fly fishing with friends Cameron Lester and George Born. As you can see Cameron hooked up with some firecracker Rainbows. 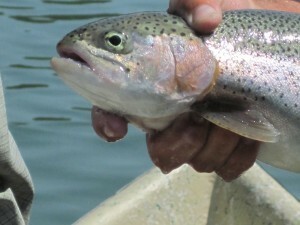 We caught fish on a variety of streamers as well as almost any sowbug or pheasant tail pattern. 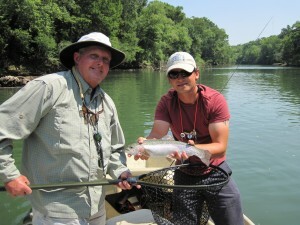 For the first week of July the weather has been wonderfully cool and the river is in great shape making for red hot fly fishing. Give us a call to book a fly fishing trip and we will show you the Twin Towers.